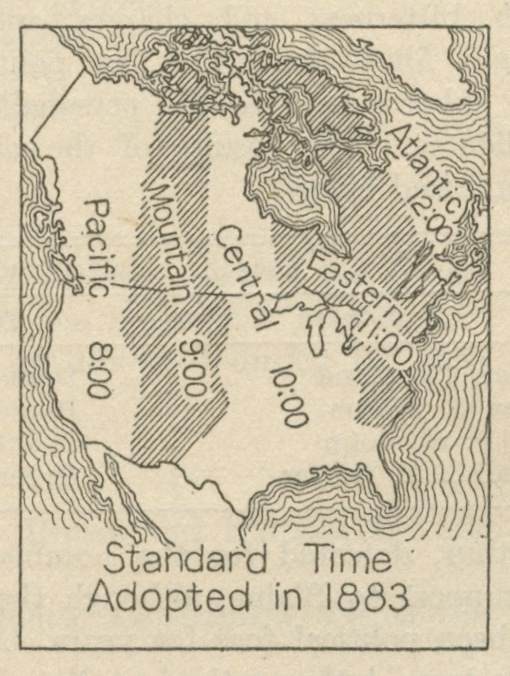 In honor of leap day, take a look at this map of the North American time zones when standard time was first adopted in 1883. Check out the central time zone—it’s massive! Railroad magnates were behind standardized time because it made easier the creation of timetables and transmission of telegraph messages. Though widely-used shortly after their introduction, time zones wouldn’t become federal law until 1918. Thanks to Eric Fischer for the scan.